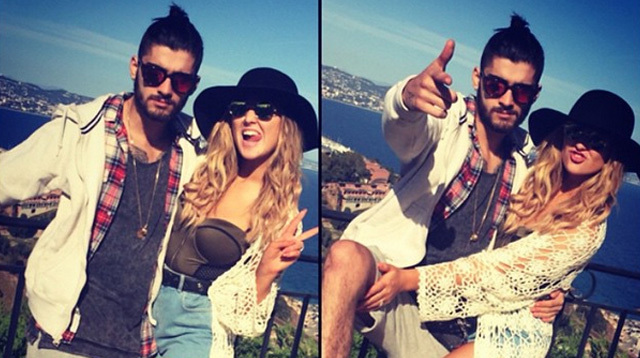 Look At These Cute PDA Pics Of Zayn Malik And Perrie Edwards In France! Zayn's finally truly happy, you guys. Zayn Malik and Perrie Edwards enjoyed some time away from the spotlight in France with Zayn's family following his departure from One Direction, and he reportedly "couldn't keep his hands off" the blonde beauty. An eyewitness told E! News: "They were very happy. They were practically glued to each other when we saw them." The couple is reportedly keen to get married as soon as possible despite having their relationship rocked by infidelity claims made against the 22-year-old singer. A source shared recently: "When Zayn proposed to Perrie nearly two years ago, it was so he could marry her. Now though, he wants to make that right and get married as soon as they can plan the day they have been dreaming of." Meanwhile, filmmaker Morgan Spurlock, who travelled around with the chart-topping group to create their 2013 documentary This Is Us, believes Zayn "struggled" to be away from the Little Mix star. He said previously: "I think he was the one who struggled with it the most. And being away, being on the road, being away from his girlfriend I think finally just got to him, and I think he said, 'I'm done.'"